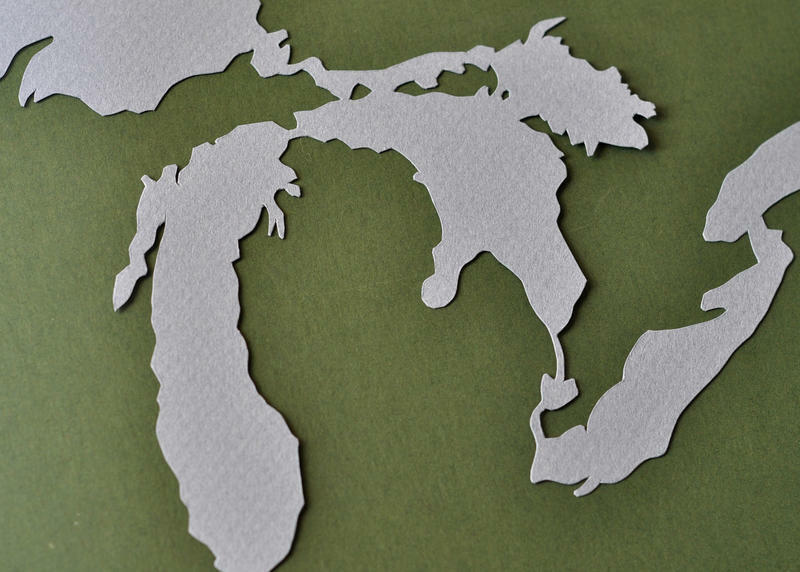 The Great Lakes in paper, by Isabel Talsma. Only around one percent of the water in all the Great Lakes combined leaves their basins each year. This means that once pollutants enter them, they tend to stay there for a great deal of time, and may even become more concentrated as the years pass. The location of the lakes plays a role in the number and type of contaminants each one is plagued with. Lake Superior tends to have fewer contaminants than any of the other four lakes do because the area around it is primarily undeveloped. On the other hand, Lake Michigan is surrounded by a great deal of urban development, and also has a number of paper and pulp mills along its shores. It is a prime dumping ground for many of the factories that are in close proximity to it. 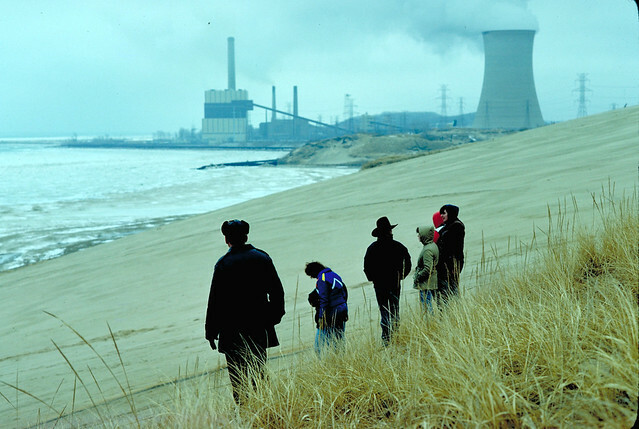 The southern shores of Lake Michigan receive a great deal of pollution from residents of Chicago as well. Lake Michigan dunes. Photo via thoth-god (Flickr). Lakes Huron and Ontario also contain a great deal of urban area, although the amount of development along their shores is significantly less than it is around Lake Michigan. As such, these two lakes are also subjected to agricultural pollutants on a regular basis. Lake Erie is the smallest of the five lakes, and contains more agricultural area around it than any of the others. This means that the primary pollutants in this lake stem from fertilizers and pesticides. Fishin’ for Blinkie in Lake Ontario, by Nikki Coulombe. The Great Lakes area is home to more than 35 million people, which means it is houses a great deal of untreated raw sewage. 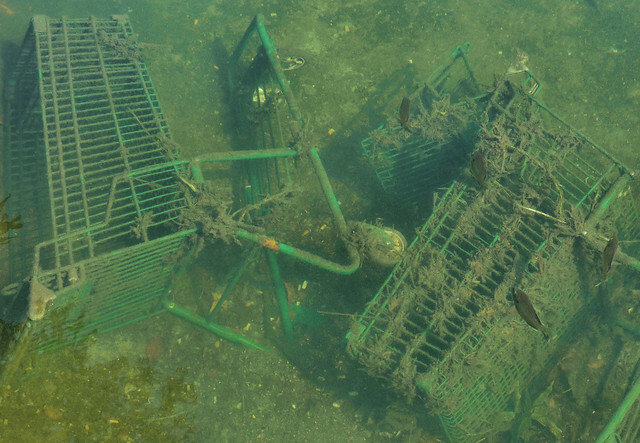 In fact, the amount of raw sewage that’s dumped into these lakes every year is equivalent to more than 1.2 million Olympic-sized swimming pools. What’s more, a number of chemicals such as detergents, insect repellants and even some over-the-counter medications can survive the wastewater treatment process, and are found in abundant numbers throughout these bodies of water. When you look at these water pollution statistics, it’s easy to see why keeping our water supplies clean is so important. Knowing what threatens your watershed is only half the battle, as people everywhere need to do their part to help prevent it.